Conserving our logging history, heritage and forests. 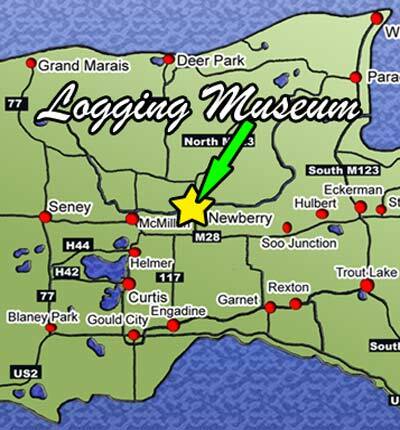 The Tahquamenon Logging Museum is located just one mile north Newberry, Michigan on M-123. We are on the left just before the Tahquamenon River. For more information regarding any of these events or the museum please call (906) 293-3700 from May until September.